Steve is another long-time employee of Front Range, coaching from 1995-2006 in both the middle school and high school age groups. Steve experienced tremendous success at the national level of junior volleyball, coaching his teams to a Bronze Medal finish in 14 Open at the 2004 Junior Olympic Championships, and a Silver Medal finish in 15 Club at the 2005 Junior Olympic Championships. Steve also won a Gold Medal in 13 Open at the 2003 Crossroads National Qualifier, and another Gold Medal in 14 Open at the 2004 Crossroads National Qualifier. In addition to his success nationally, Steve’s teams won multiple RMR Championships locally during his time as a FRVBC coach. Steve also has experience coaching at the high school level; in 2001 and 2002 he coached Smoky Hill High School to back-to-back 5A State Championships in Colorado. In 2015 he coached the Junior Varsity team at Highlands Ranch High School. 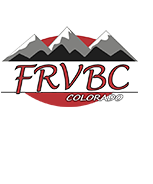 After a brief break from coaching, Steve returned to Front Range in 2008 to assist FRVBC teams at the Crossroads National Qualifier. Steve returned again to Front Range in the 2014 season as the 18 Gold Head Coach. During the 2015 and 2016 seasons at Front Range Steve worked as the Middle School Team Coaching Consultant. Steve is a high school History teacher at Highlands Ranch High School, and enjoys mountain biking, fly fishing, and hiking in his spare time. Steve returns to Front Range for the 2018-19 as the Head Coach of 18-1 Black.